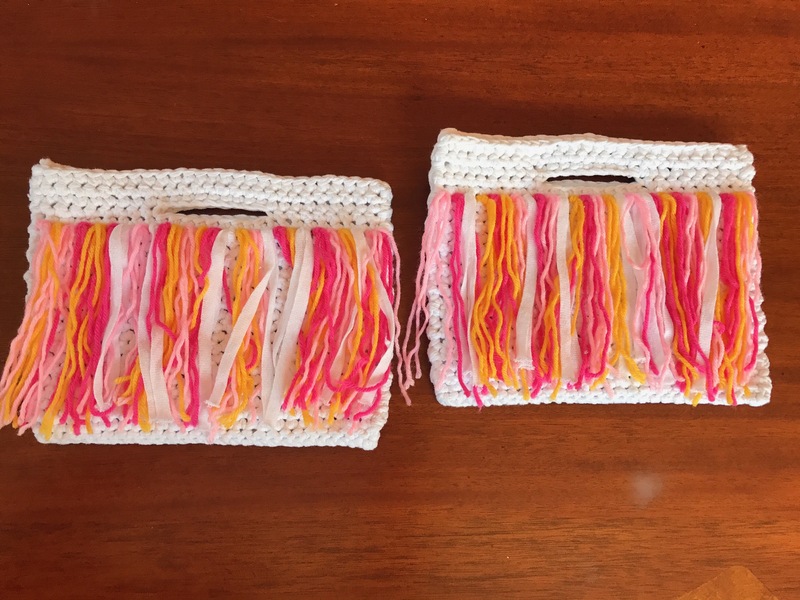 Over the summer, I went to a birthday party for two young girls I know and I decided that for their birthdays, I’d make them the Pink Lemonade Clutch that came in my Happy Yarn Mail box back in the spring. 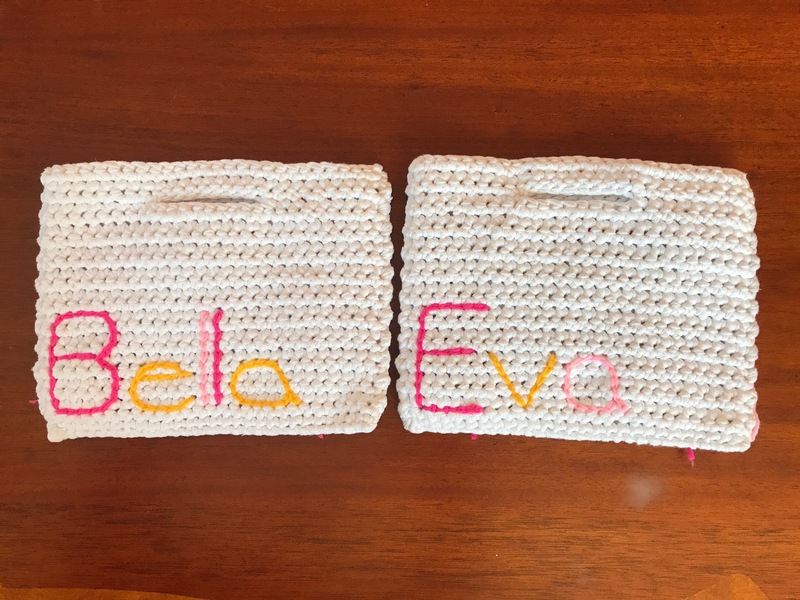 I ordered more of the yarn included in the box to make two matching purses but I knew I’d embellish them somehow to keep them unique so the girls would know which bag was theirs. I decided to surface crochet their names on the back. I went to Target and hit up the dollar spot and filled the girls’ purses with goodies like a little notebook, lip gloss, and gum. I think the purses came out super cute and the girls loved them! So after I had done these, I realized I didn’t actually need to order extra of the DIYarn that came in my HYM box. I still had plenty of leftover in the skeins I had. But better to be safe than sorry! I thought and thought about what I could do as a little project and then it hit me. 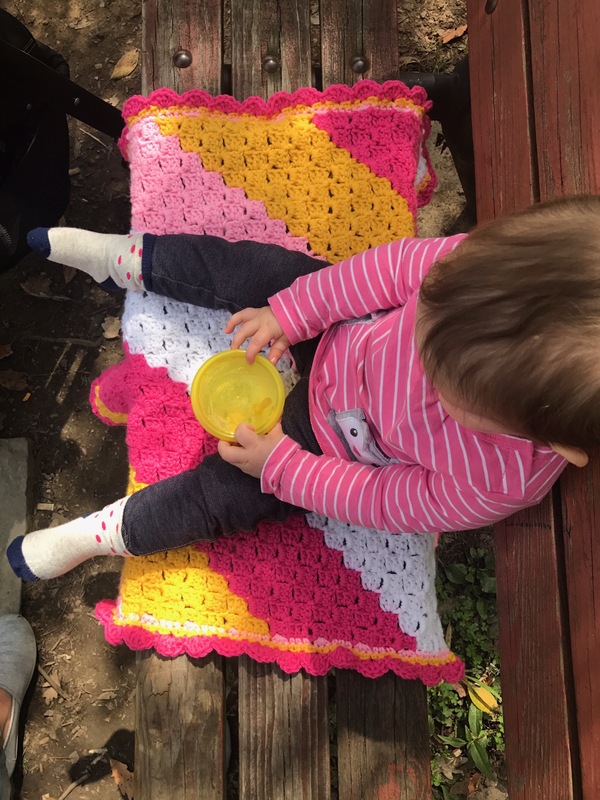 I could C2C a little stroller blanket for baby Nóra! And so I did. 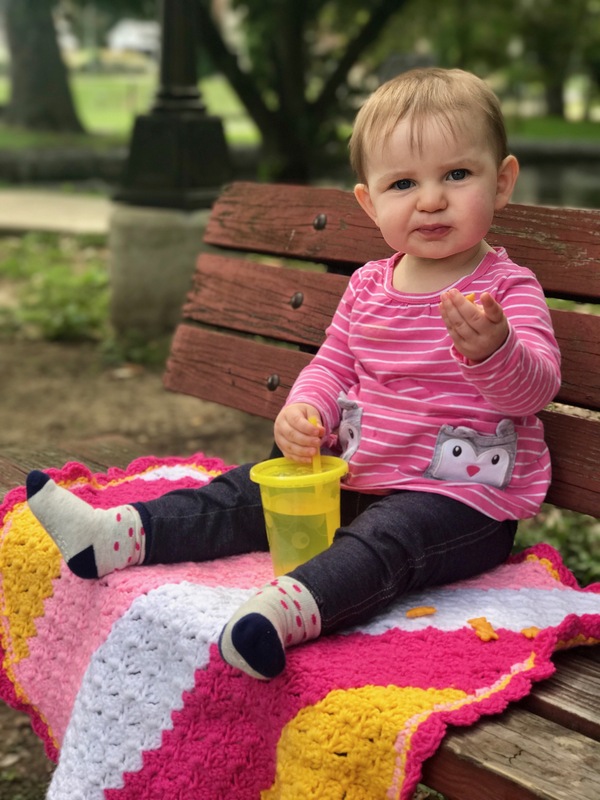 I called it her “sunshine and kisses” blanket because she’s my little sunshine and I just kiss those cheeks all day long! I’ve decided that this pattern will be my first official pattern that I write up for this blog and I’ll create it in a printer friendly PDF that will be available for purchase! 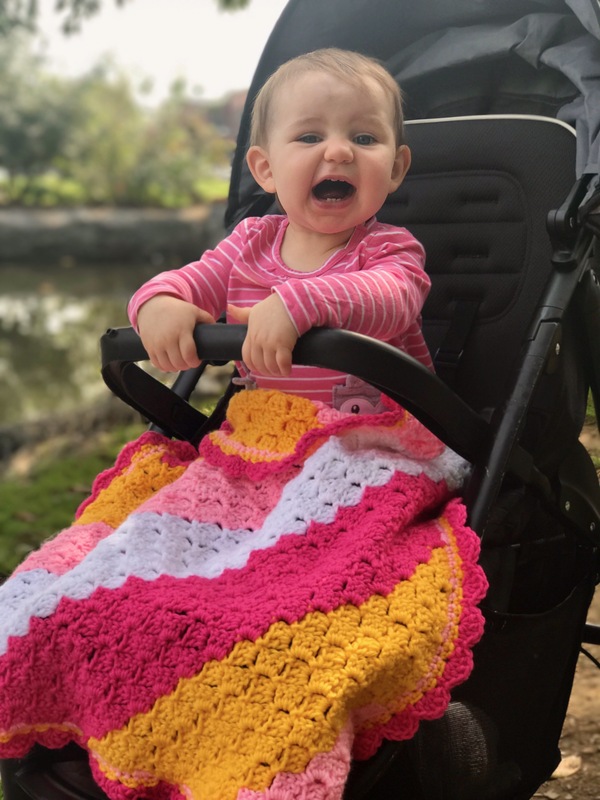 I have one other pattern that I completely designed myself, but I’m going to wait and release it in the springtime as it’s a very summery pattern. Anyway, here is baby girl and her blanket!